I'm so excited about this week's H2H Challenge!!! While I started with the intention to do an April Fool's project, I came across these photos of my husband and I messing around a few years ago and I immediately knew I need to explain WHY I fell in love with this fool! 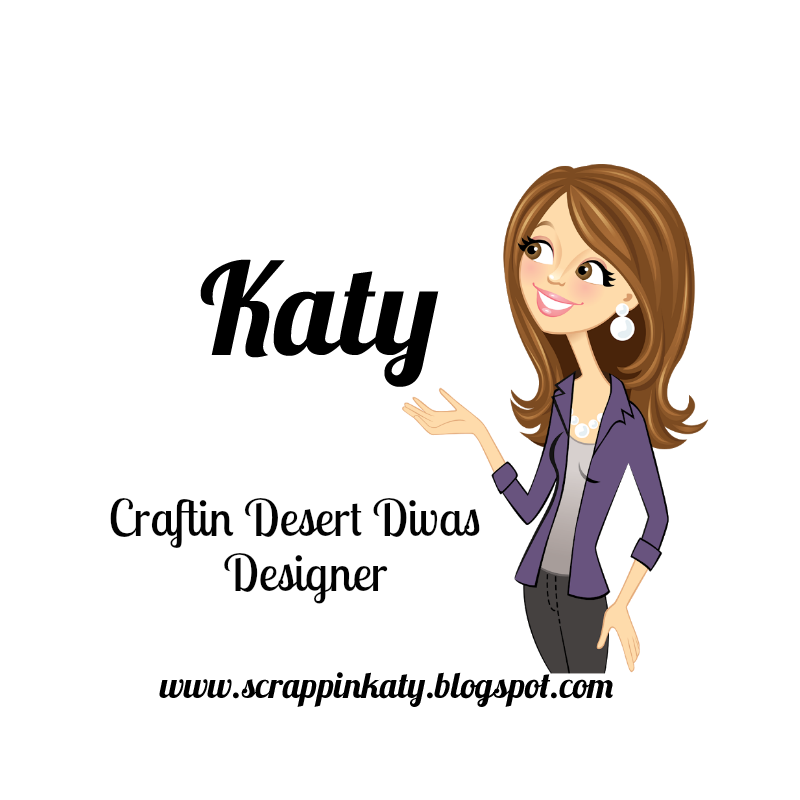 Please take some time to head over to the H2H Blog and check out the other Design Team Members and their projects! 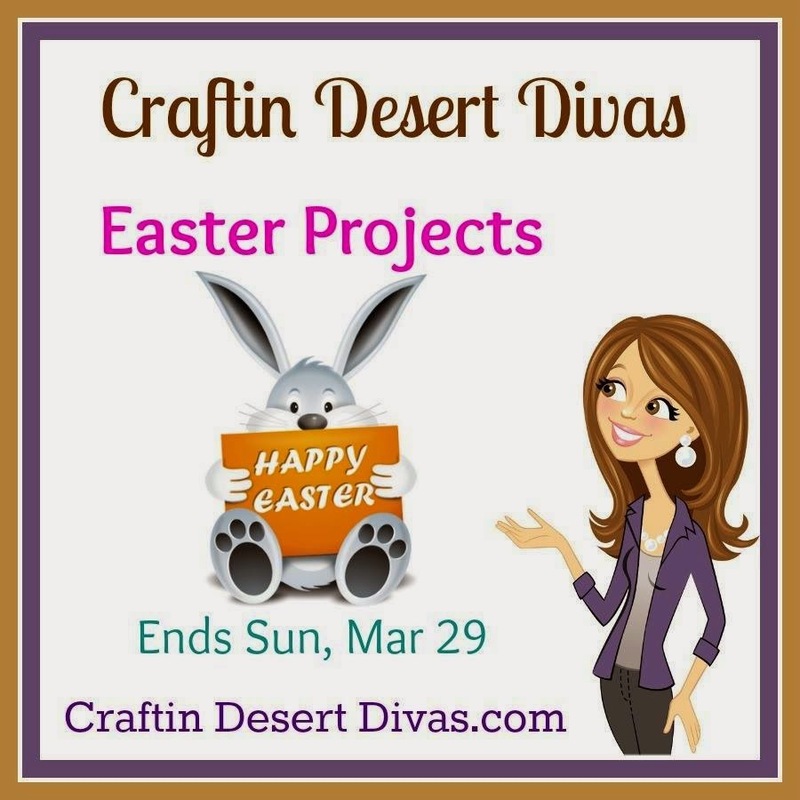 You have 'till the end of April to link up your CTMH project! I hope everyone had a WONDERFUL weekend!!! 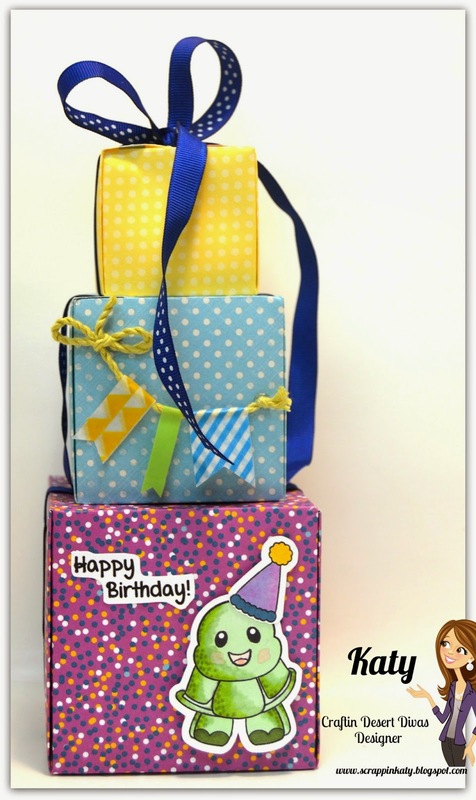 We went to a Birthday Party where these little gift boxes were a HIT! Thanks for stopping by!!! Don't forget to go check out the CDD Blog to see what the other girls have been up to! 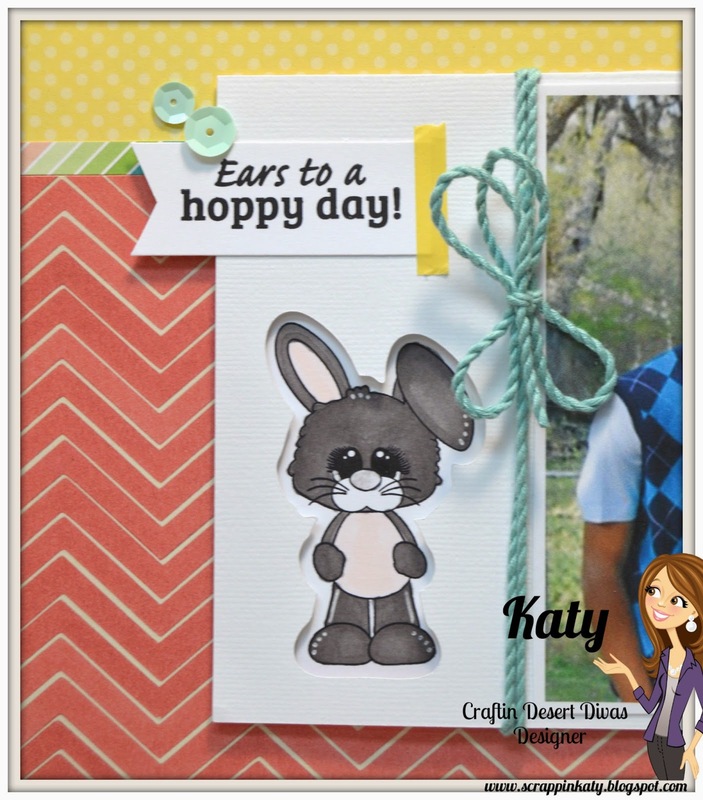 I love the peep window of the card on the left...and I added some piercings in the corner that I think add a little something extra! 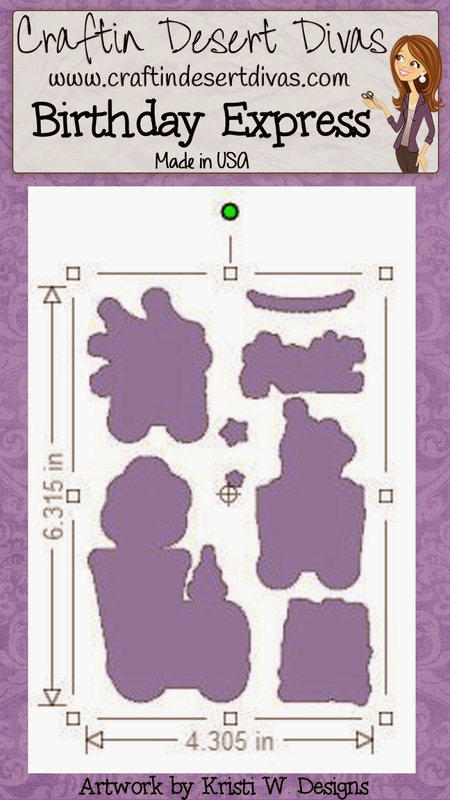 The centers to the flowers are clear buttons adhered to some B&T. 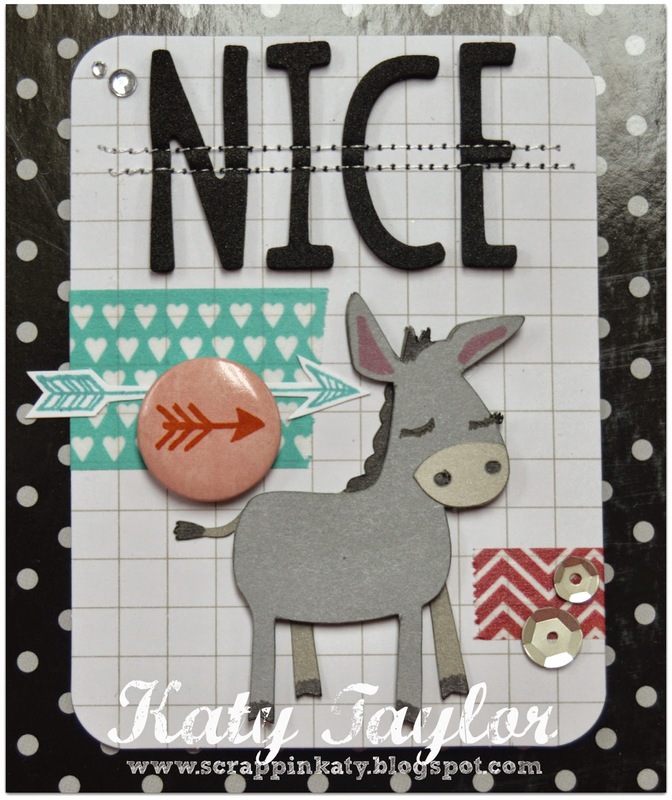 The card on the right is pretty simple but the Circle Irresistibles add some dimension! 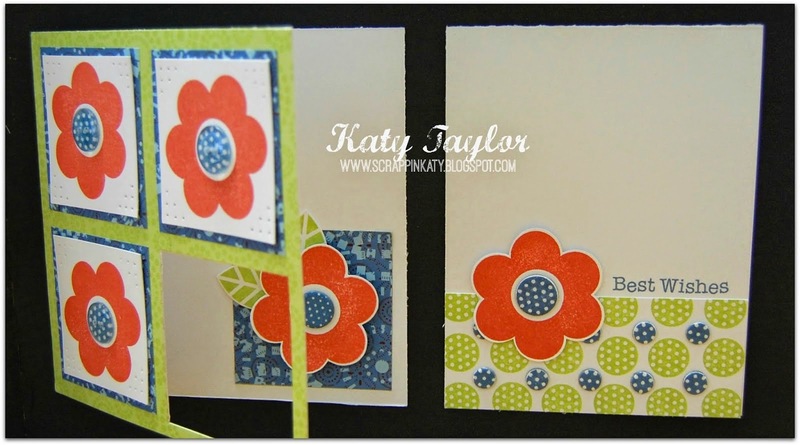 And...I love the pops of Smoothie Ink on the flowers!!! 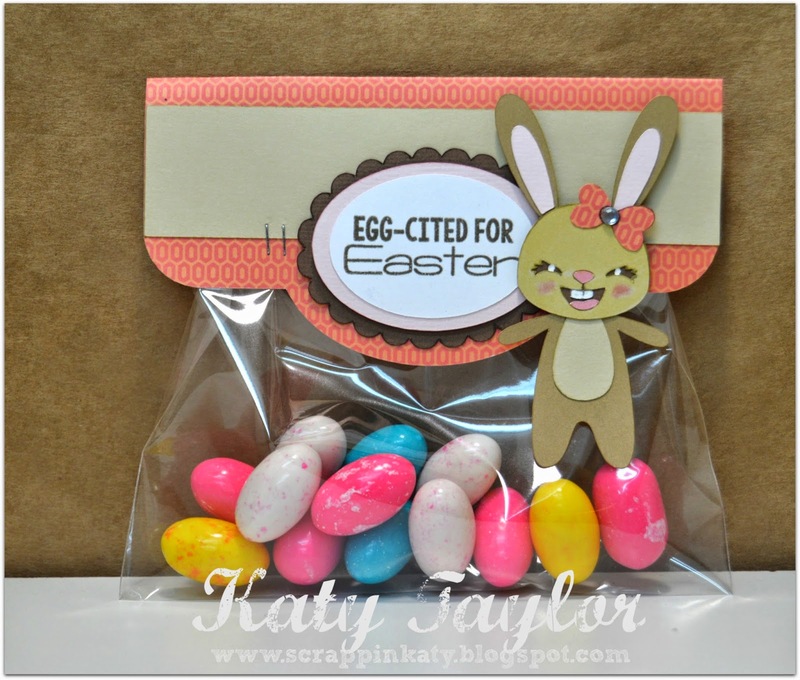 Go check it out on the SOUS Blog and link up your In the Garden Die-Cut Project! 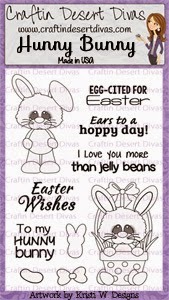 Hello everyone...I hope you had a WONDERFUL weekend and enjoyed seeing the NEW STAMPS from Craftin' Desert Divas! 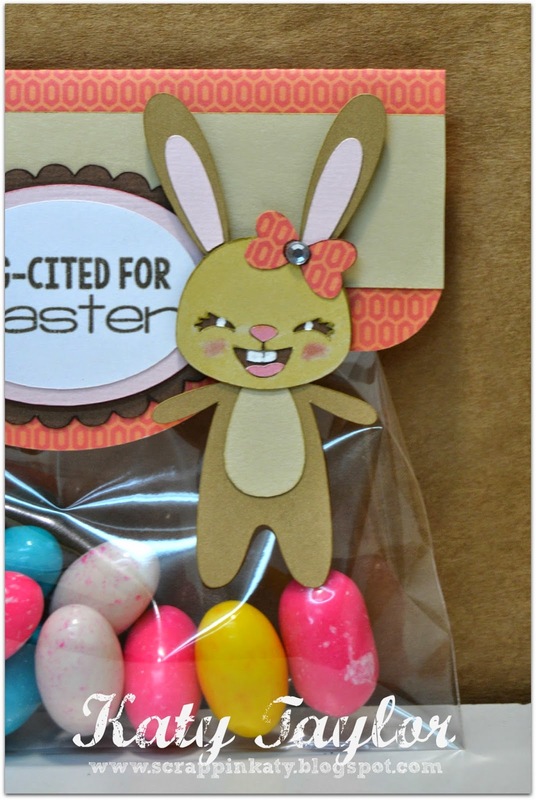 Today I'm sharing my EASTER project for the new semi-weekly linky party hosted by Craftin' Desert Divas! 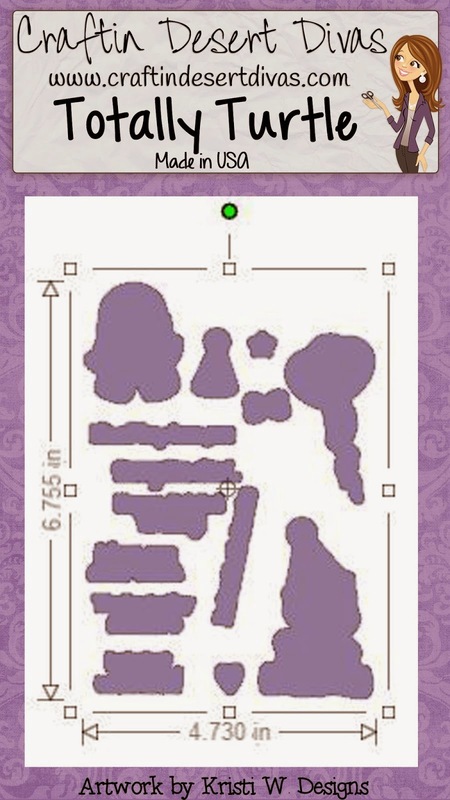 Don't forget to check out all the fabulous stamp sets available at the CDD Store!!! 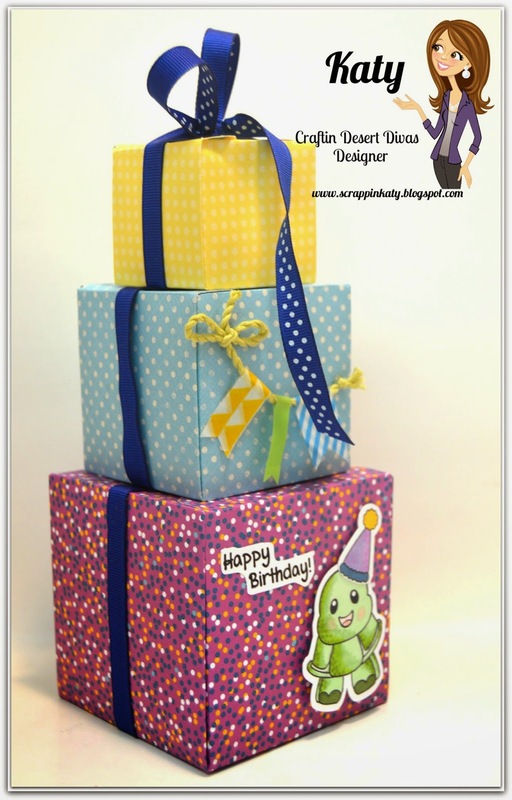 We would LOVE for you to join us for the Linky Party...can't wait to see what you create! 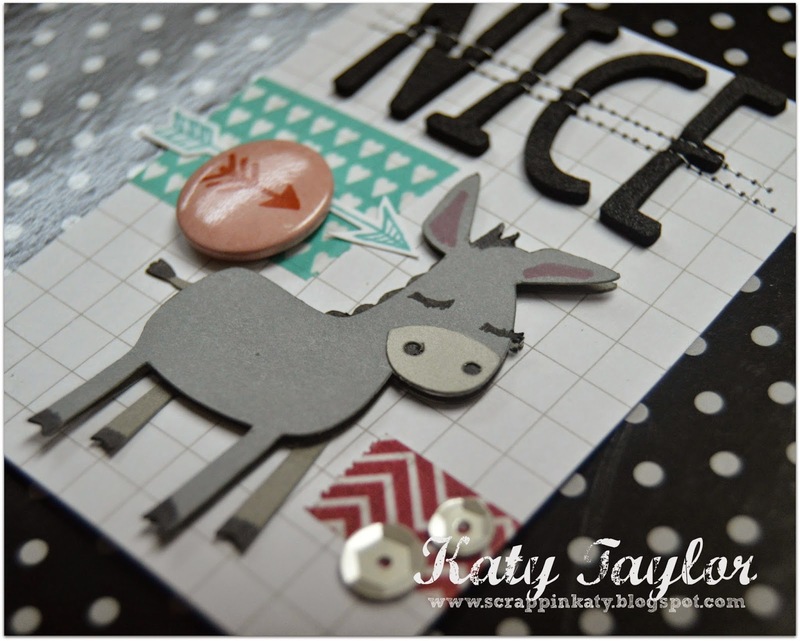 Head over to the PPPR Blog to see what files I used! 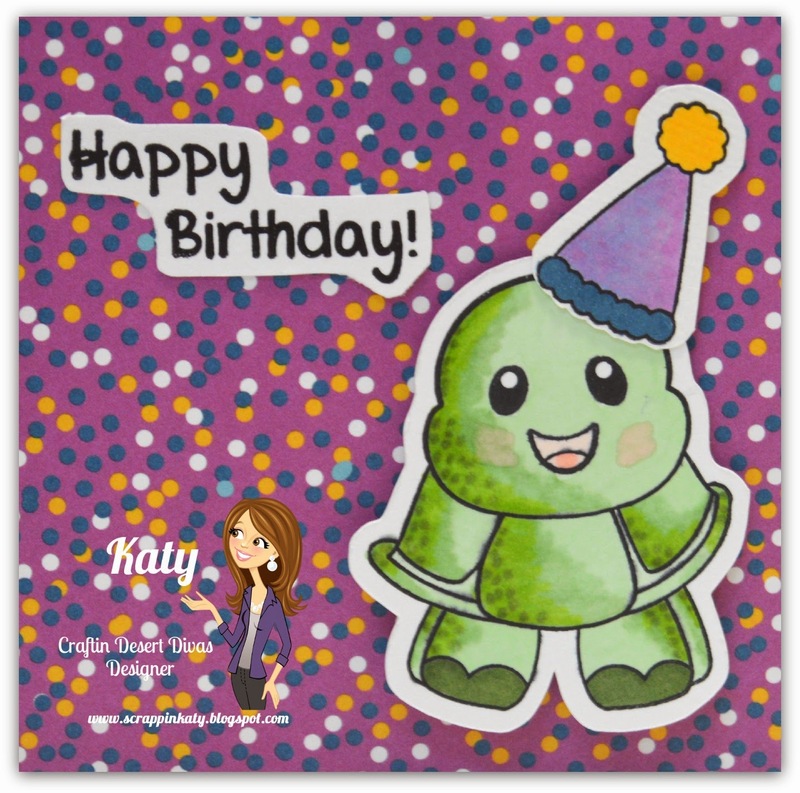 Thank you so much for joining us today to celebrate CDD stamps 1 year birthday!! As you can see, we have some awesome sponsor prizes to giveaway to those who join us today and tomorrow. and now available for purchase. 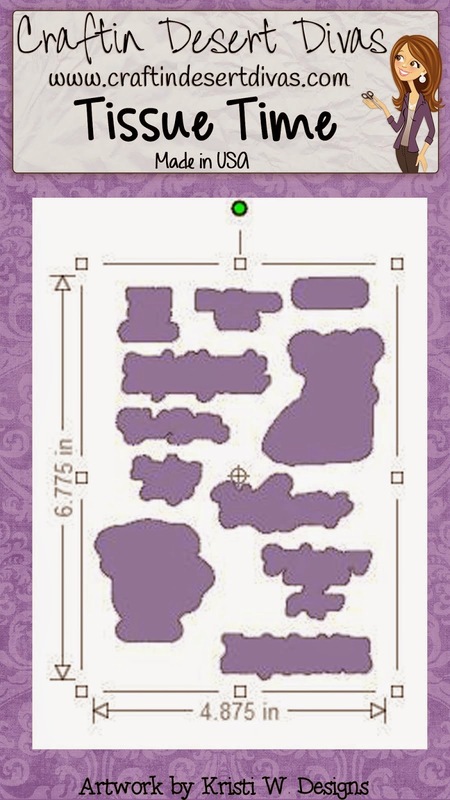 Your next stop is NANNE's BLOG...I know you're gonna LOVE what she has to share!!! Don't forget to comment and follow all the blogs for a change to win one of our WONDERFUL prizes from our Sponsors! 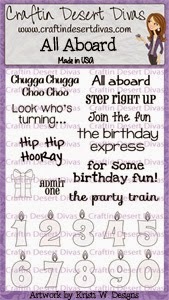 Happy Birthday Craftin' Desert Divas stamps!! 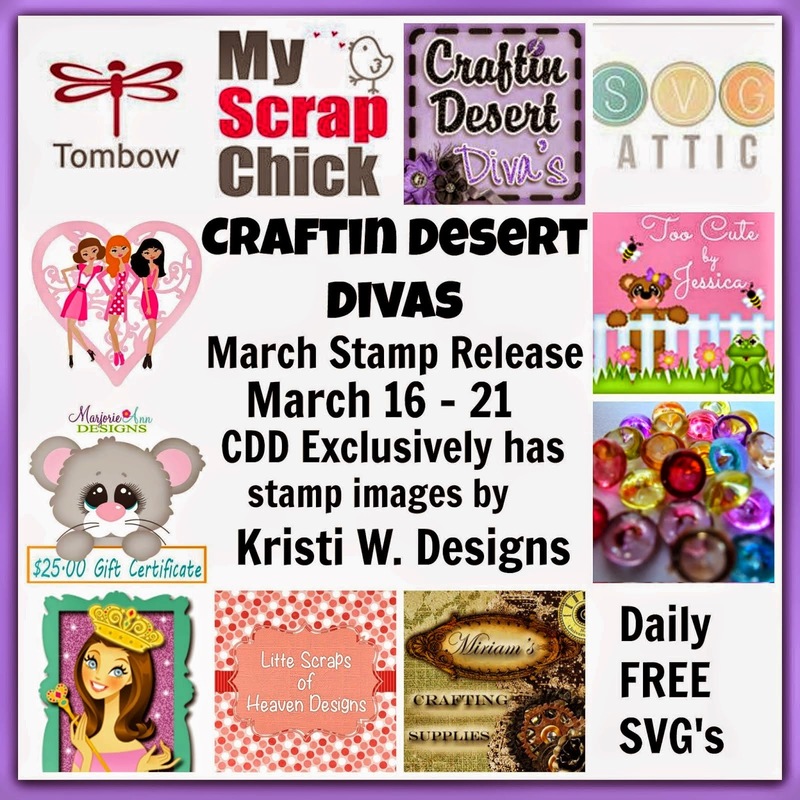 Today is Day 4 of the sneak peeks for the March stamp release at Craftin' Desert Divas. 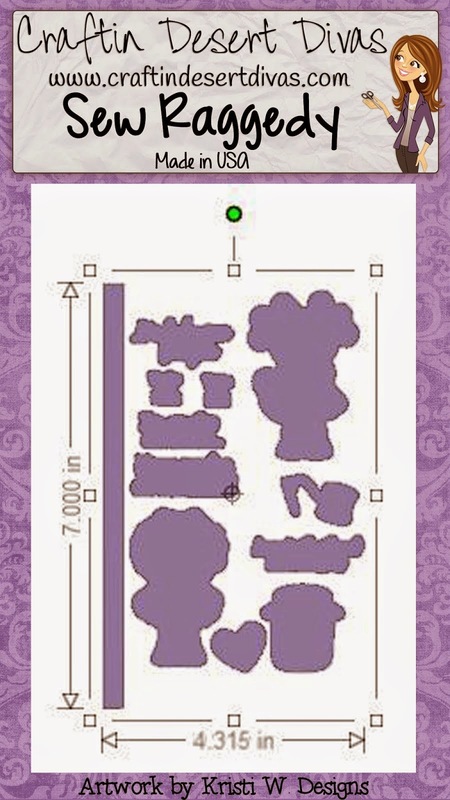 We have 7 new stamp sets in this release. 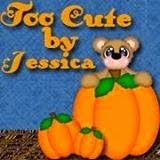 Kristi W Designs to add Kristi's super adorable images to Tara's stamps. 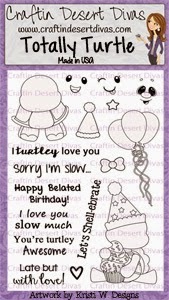 Here's a peek at what I did...PL-size cards that can be used for Birthdays, etc. 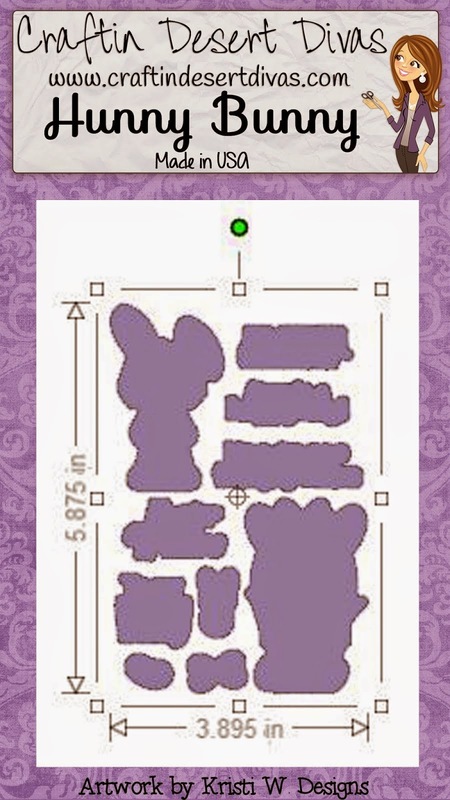 With the sentiments in this stamp set, there is a wide array of what can be done! 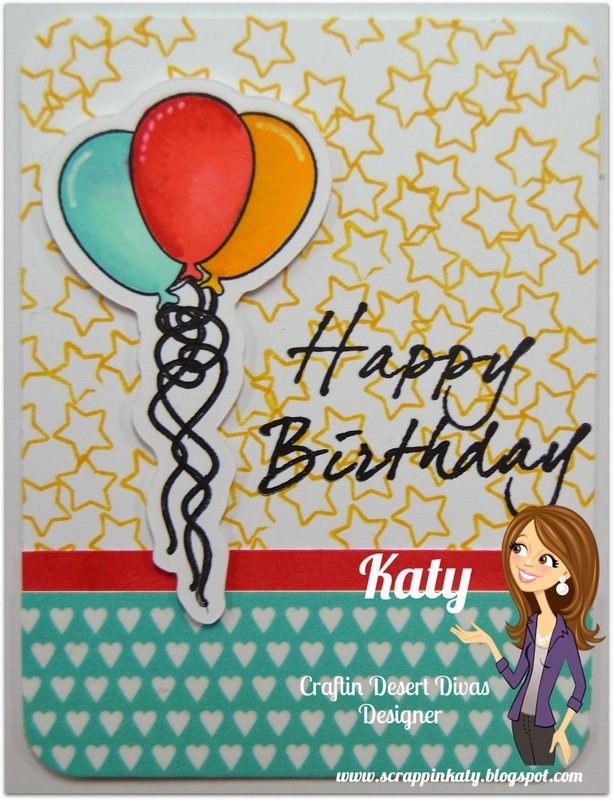 For this one, I random stamped one of the stamp images to create a fun background...colored the balloons with ShinHan Twin Markers! 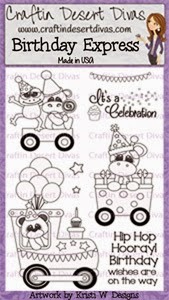 The HAPPY BIRTHDAY is from Say It Big...LOVE that stamp set! 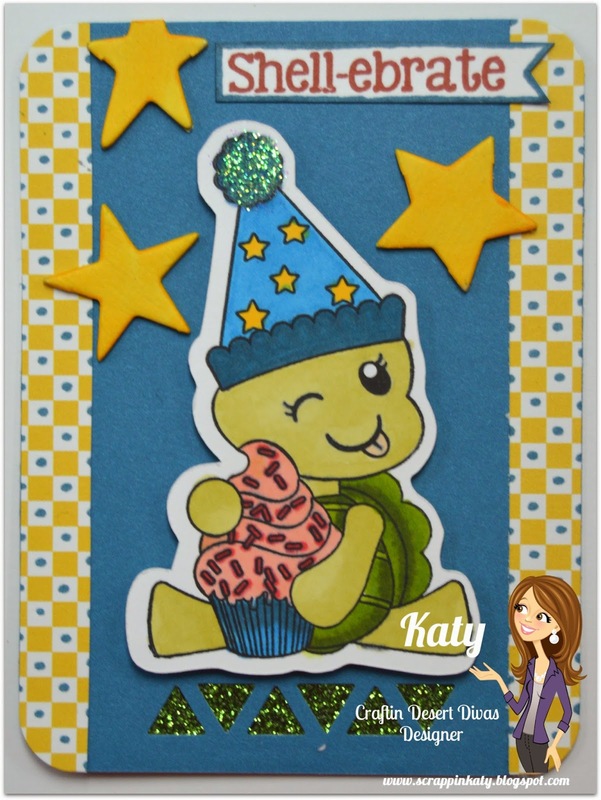 I love this winking turtle...and his CUTE little party hat!! 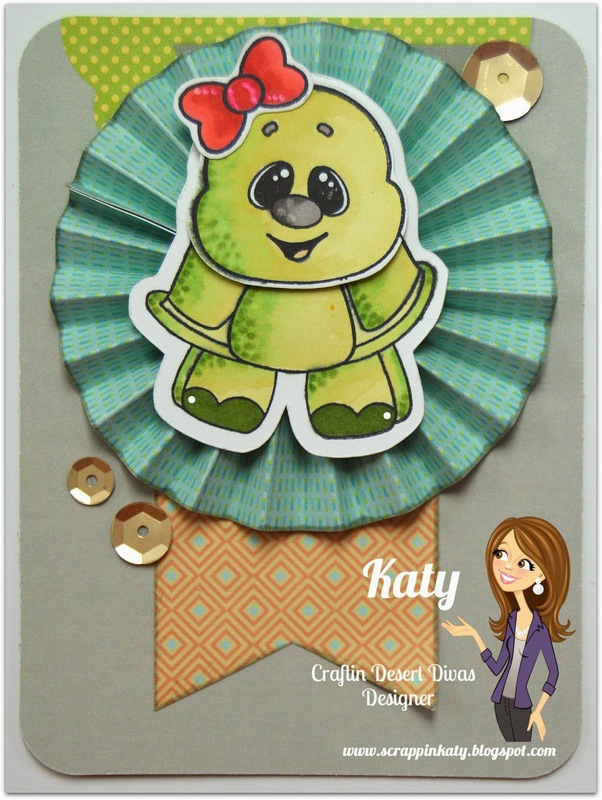 LOVE that Tara included a little bow for this turtle...because sometimes, a boy turtle just won't do! 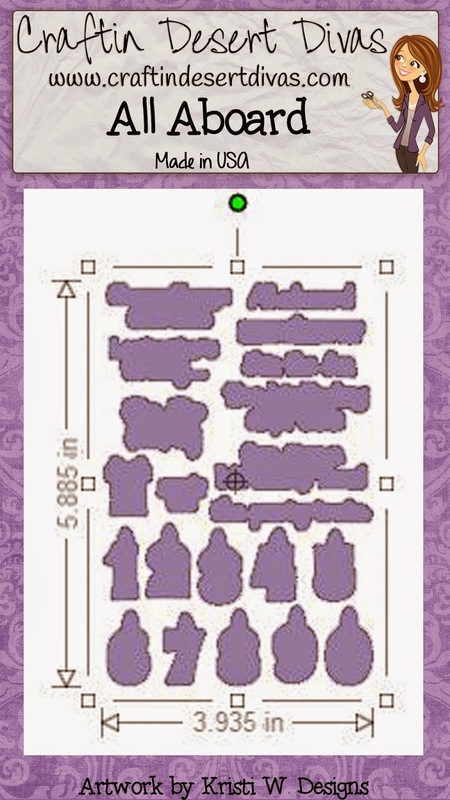 Be sure to join us TOMORROW and Saturday for the Blog Hops that will show you ALL of these stamp sets in their full glory!!! 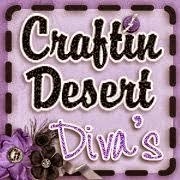 We hope you will stop by the Craftin Desert Divas Shop and the Craftin Desert Divas Gallery Facebook group. 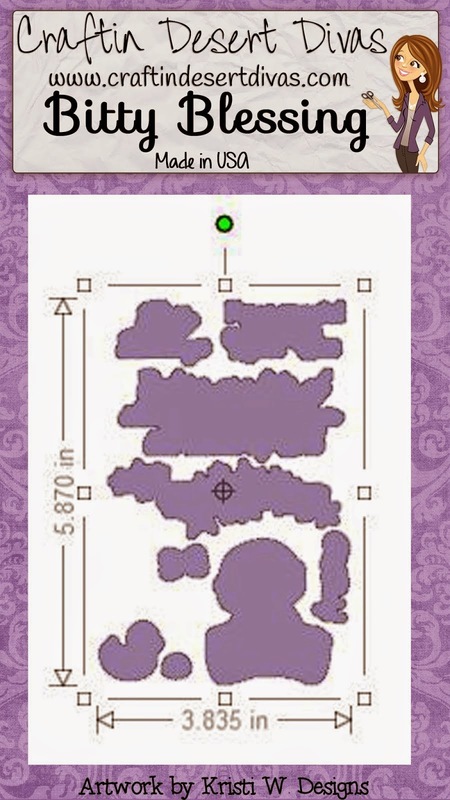 We would love for you to join us and share your creations with us using Craftin Desert Divas stamps. 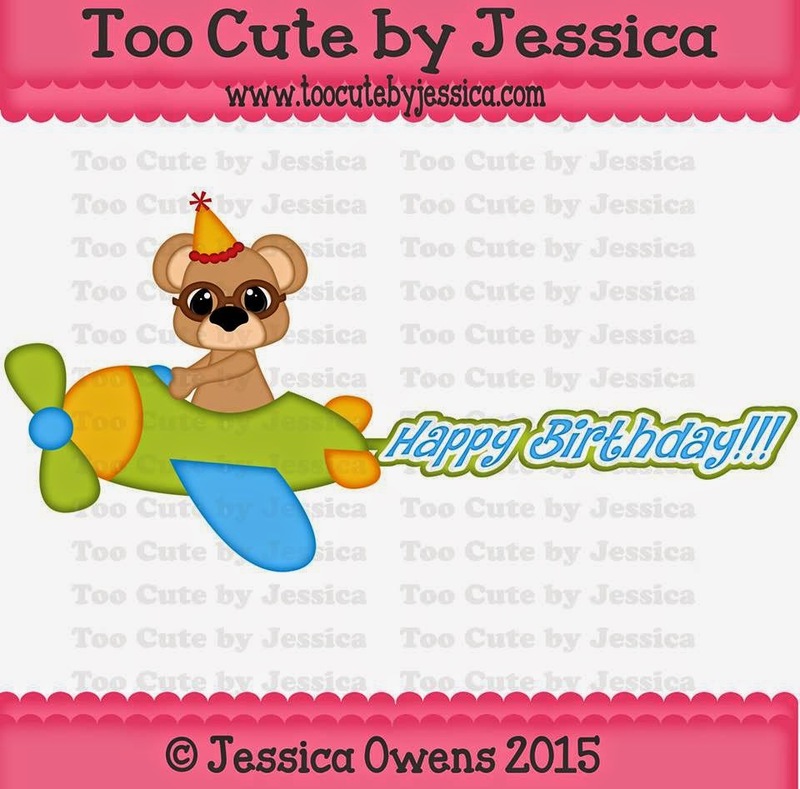 In this group, we show previews first, have giveaways and much more! 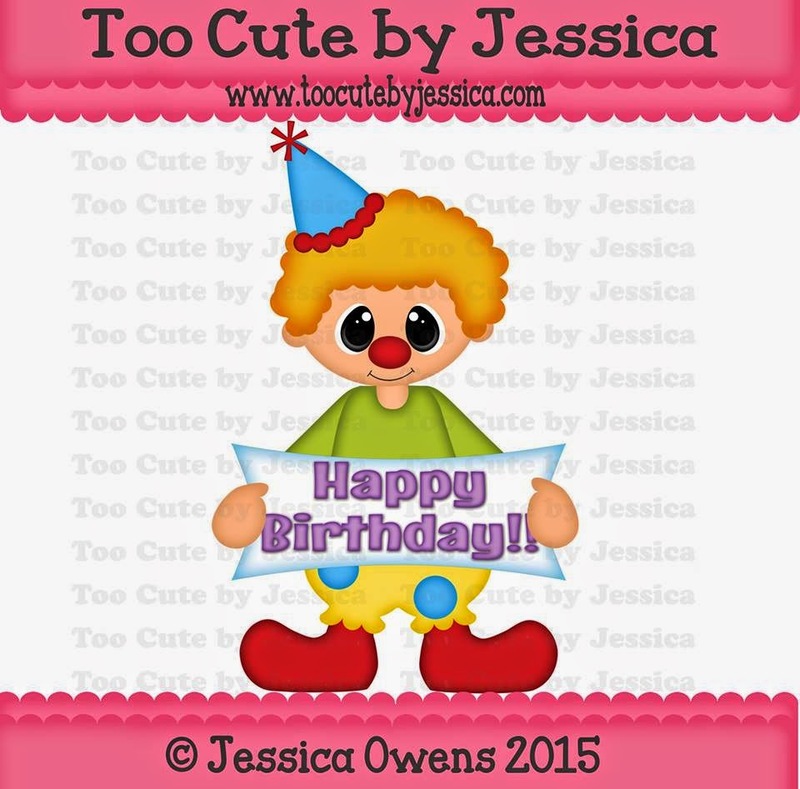 It's my turn to post over at the Pretty Paper, Pretty Ribbons Blog and I have another quirky card/pocket scapbooking card to share with you. 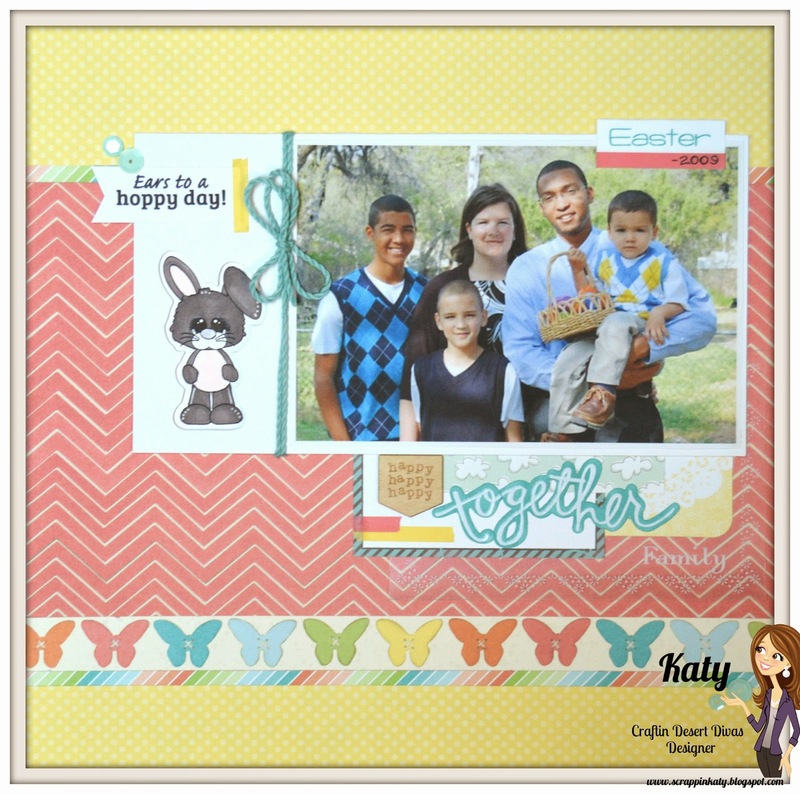 Head over to the PPPR Blog to see what file I used! 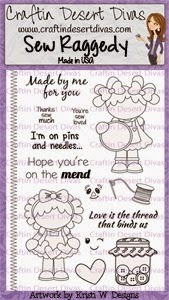 Today is Day 3 of the sneak peeks for the March stamp release at Craftin' Desert Divas.